All good things must come to an end and it turns out that eight seasons will be the finish of House. The series finale will air in May. Creator David Shore and FOX have been discussing the possibility of ending the venerable series for a couple months. The initial plan was to make a decision by the end of 2011, to ensure that Shore and the writers would, if needed, have time to craft a fitting finale. According to Deadline, Shore was feeling like it was creatively time to end the series and he had the support of executive producer Katie Jacobs and star/executive producer Hugh Laurie. By deciding to end the show now, the network will avoid another round of protracted contract negotiations like last year’s. There was a possibility that NBC, whose sister studio produces House, could take over the series for season nine but NBC Entertainment Chairman Robert Greenblatt said that was unlikely given the expense. After much deliberation, the producers of House M.D. have decided that this season of the show, the 8th, should be the last. By April this year they will have completed 177 episodes, which is about 175 more than anyone expected back in 2004. The decision to end the show now, or ever, is a painful one, as it risks putting asunder hundreds of close friendships that have developed over the last eight years – but also because the show itself has been a source of great pride to everyone involved. Since it began, House has aspired to offer a coherent and satisfying world in which everlasting human questions of ethics and emotion, logic and truth, could be examined, played out, and occasionally answered. This sounds like fancy talk, but it really isn’t. House has, in its time, intrigued audiences around the world in vast numbers, and has shown that there is a strong appetite for television drama that relies on more than prettiness or gun play. But now that time is drawing to a close. The producers have always imagined House as an enigmatic creature; he should never be the last one to leave the party. How much better to disappear before the music stops, while there is still some promise and mystique in the air. The producers can never sufficiently express their gratitude to the hundreds of dedicated artists and technicians who have given so generously of their energy and talent to make House the show it has been – and perhaps will continue to be for some time, on one cable network or another. The makers of House would also like to thank Fox Broadcasting and Universal Television for supporting the show with patience, imagination and large quantities of good taste. The Studio-As-Evil-Adversary is one of the many clichés that House has managed to avoid, and for that the cast and crew are deeply grateful. Lastly, the audience: some have come and some have gone, obviously. This is to be expected in the life of any show. But over the course of the last eight years, the producers of House have felt immensely honored to be the subject of such close attention by an intelligent, discriminating, humane and thoughtful – not to mention numerous – audience. Even the show’s detractors have been flattering in their way. Making the show has felt like a lively and passionate discussion about as many different subjects as could possibly be raised in 177 hours. The devotion and generosity of our viewers has been marvelous to behold. So, finally, everyone at House will bid farewell to the audience and to each other with more than a few tears, but also with a deep feeling of gratitude for the grand adventure they have been privileged to enjoy for the last eight years. If the show lives on somewhere, with somebody, as a fond memory, then that is a precious feat, of which we will always be proud. While it’s with much regret, and a lump in our throats, we respect the decision Hugh, David and Katie have made. 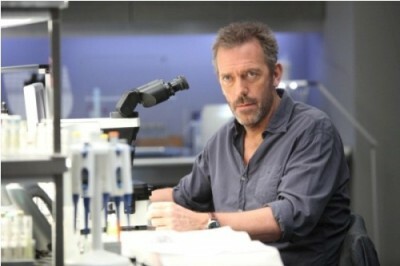 A true original, on the page and amazingly brought to life by Hugh Laurie, there is only one Dr. House. For eight seasons, the entire HOUSE team has given us – and fans around the world – some of the most compelling characters and affecting stories ever seen on television. They have been creatively tenacious and collaborative throughout this incredible run, and they are amongst the most superior talents in the business. For all the above, we wholeheartedly thank them, and the fans who have supported the show. What do you think? Are you sorry that House is ending? Do you think there should be a ninth season? House: What Did You Think of the Last Episode? House, Alcatraz: What Happened to Monday’s Episodes? ‘HOUSE’ was the best tv series I’ve watched, why does it have to end!!!! Cuddy should come back and the show should continue. i think House needs more season to fulfill and i’m a fan since episode 1..
After all this time,still no news on HOUSE being brought back or the proposed spin-off show “CHASE”. Its funny that FOX can bring back FAMILY GUY from the dead,because fans demanded it,but wont listen to us HOUSE FANS and bring back our fave show…what a travesty!!!!!!! FOX still has no show that could even come close to the popularity of HOUSE. Do the right thing and bring him back!!!! !